Updated Saturday Oct. 13, 2018 — The recovery continues in the Sunshine State after Hurricane Michael. Above, ATT offering phones and other equipment to help communication for first responders, Governor Rick Scott tweeted. As of 4:05 p.m. CDT, some 251,894 Florida customers are without power in the counties hardest hit from Hurricane Michael. Search and rescue, utility restoration and storm debris removal continues today. The death toll has risen to 17, ABC News reports. 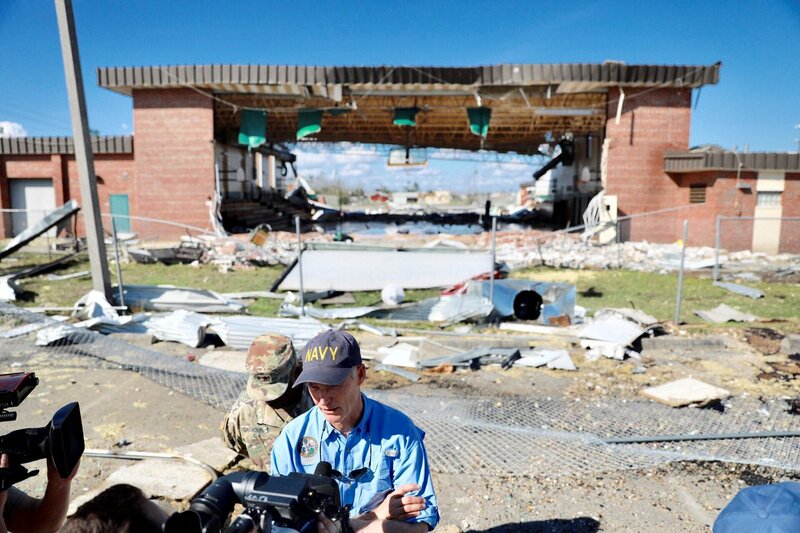 Governor Scott also tweeted over 11,000 people have registered with FEMA and 120 FEMA Survivor Assistance Team members are on the ground and visiting shelters. 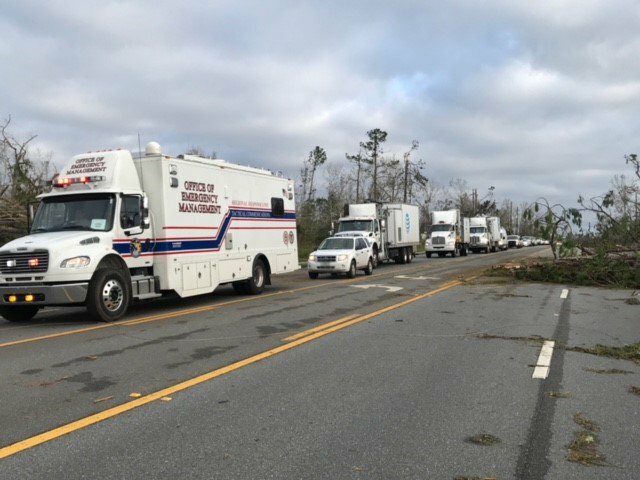 As utility crews work around the clock to restore power and others clear debris, distribution of critical supplies (ice, water, food) is underway. The locations are Altha Town Hall, 25586 Main Street and starting at 5 a.m., Atkins Park, 20591 W. Central Avenue in Calhoun County, according to Florida SERT on Twitter. Food, ice and water also will be passed out at the Tallahassee Fire Department Station, 1327 N. Adams in Leon County. Updated Thursday, Oct. 11, 2018— Hurricane Michael made landfall near Mexico Beach, Florida on Wednesday as a Category 4 storm with 155 mph winds. As of this morning, 2 deaths have been reported in Florida and Georgia from the hurricane. On Wednesday night, Michael was a Category 1 hurricane in Georgia. This morning, the National Hurricane Center has downgraded Michael to a Tropical Storm with 50 mph winds, moving NE at 21 mph. Since making landfall in the Florida panhandle, the dangerous hurricane left massive destruction behind. Texans are planning or on their way to Florida and Georgia to help restore power. Dallas NBC reports some 100 Oncor workers and trucks will be sent. Texas Baptist men helping in the Hurricane Florence recovery also on standby to go to Florida or Georgia, NBC 5 reports.